Oh man I may have found my new obsession! Damn that these are gf/v bc I now want to consume these all day and all of the night! V/GF sour sweets usually aren't sour. 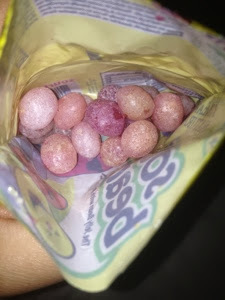 I'm not kidding... One of my most beloved brands has sour items and they aren't sour to me at all so I was shocked at how insanely sour these were. Obvi shocked in a happy excited way. I'm sad that I already ate these and they no longer exist and I have none to eat right now. 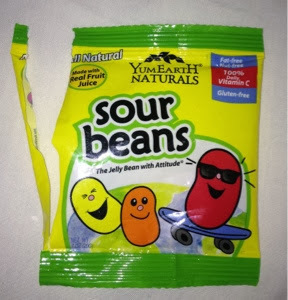 This is what the little beans of sour heaven looked like... So cute like those dinosaur egg candies from my youth.